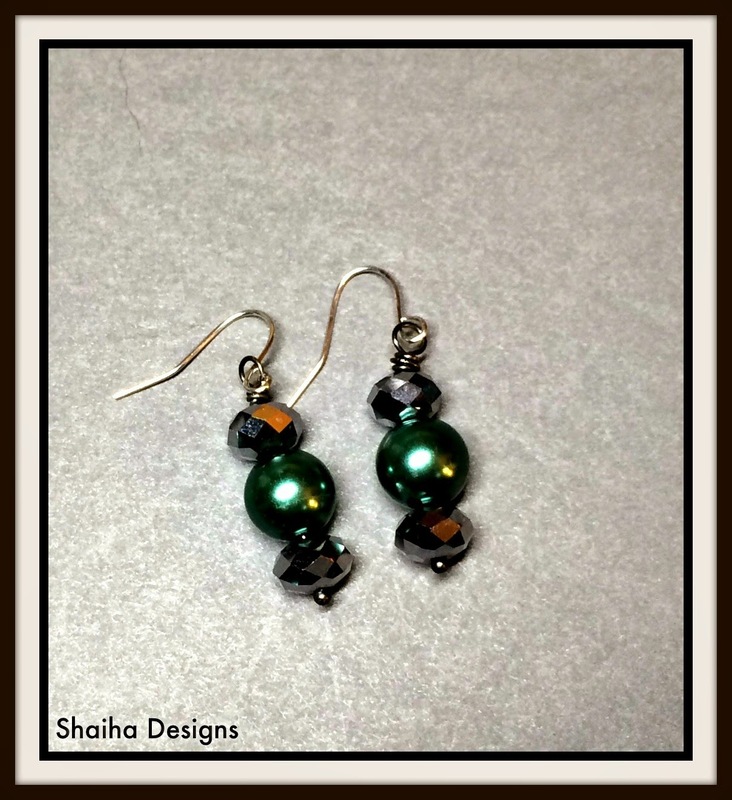 Just a quick post to show off some pretties that I made using glass pearls and Tiaria crystal from Znet Shows. Well actually I got the pearls from Lisa Lodge of Pine Ridge Treasures for this challenge but they originally came from Znet. When I first received my beads, I admit I was stumped. Gorgeous, rich colors of a deep forest green and a beautiful navy blue but I couldn't wrap my head around just how to combine them. I finally decided to to make up a couple designs. This first one ended is actually the second one I made. 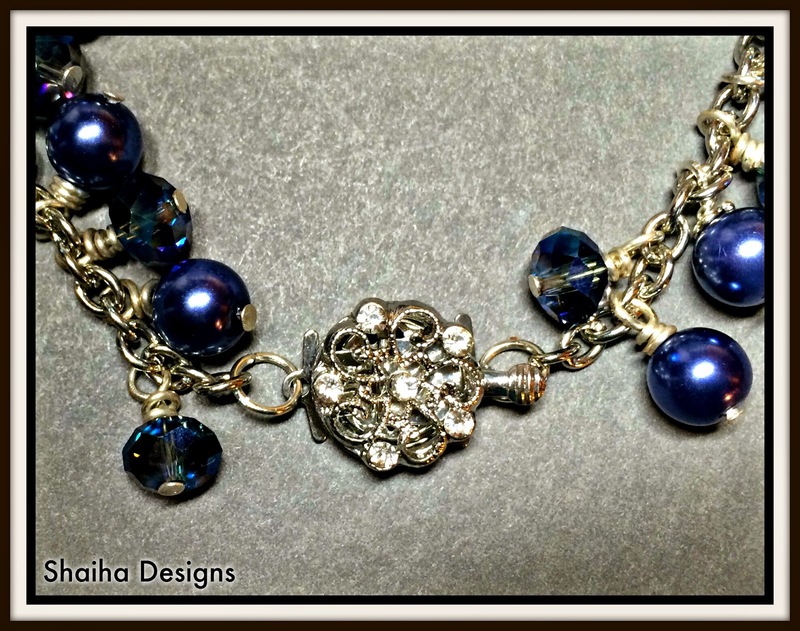 I love charm bracelets and it has been so long since I have made any. They tend to be hard on the hands but I figured with the larger pearls and crystals it wouldn't be so bad. And I was right. 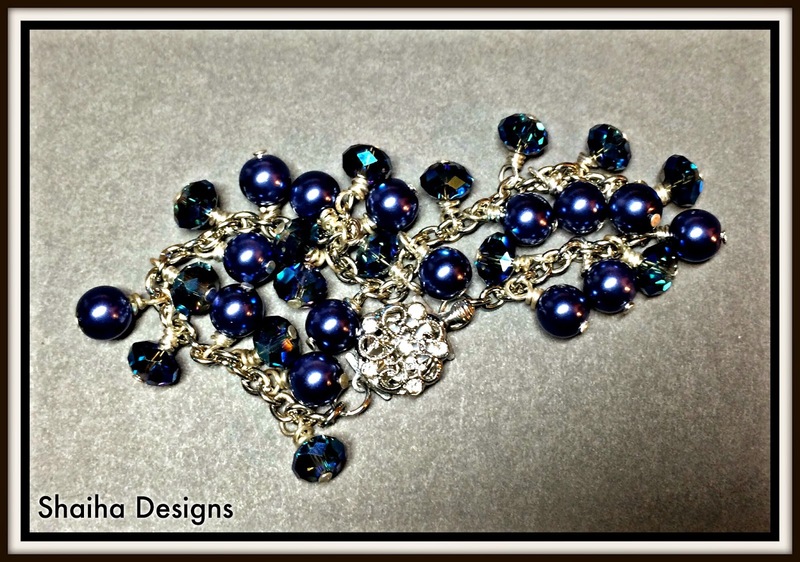 Oh and let me show this gorgeous clasp that I used. It just adds to the sparkle. 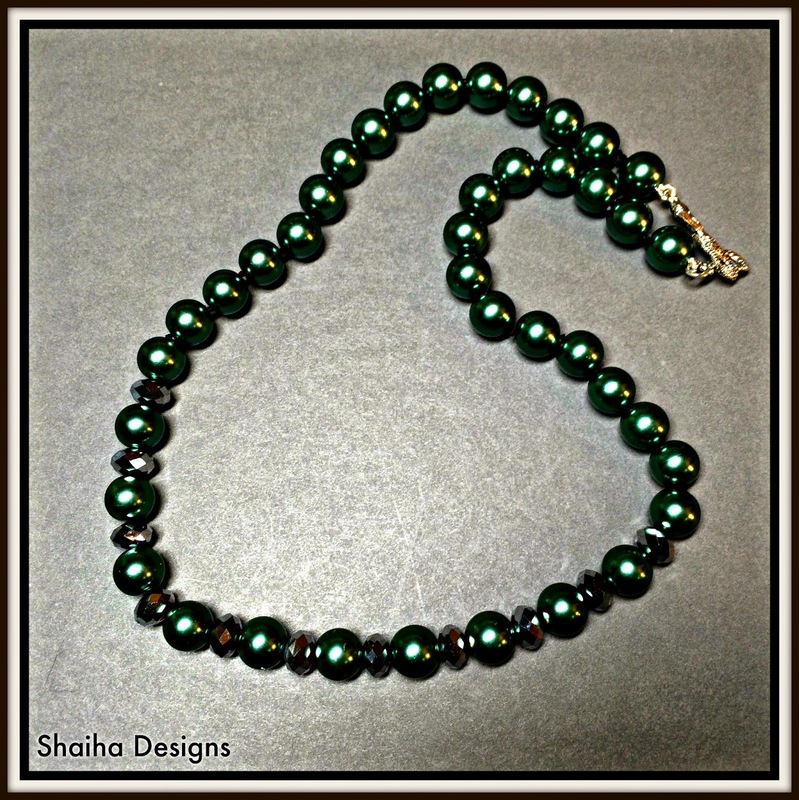 As you can guess, this set was the first to come together and it definitely reawakened my love of knotting pearls. This necklace has that touch of elegance that comes with knotted pearls with the added flash of the Tiaria crystal. And of course, it has a fun clasp. Just love this mermaid. Oh and I did mention set. Yeah there is actually matching earrings. 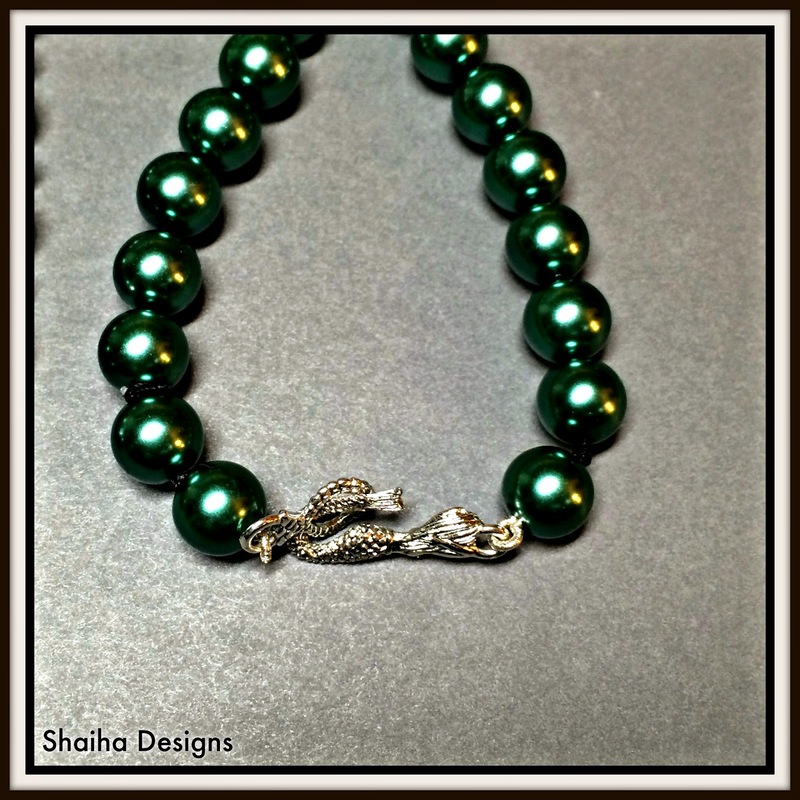 Now both of these beauties will be up for sale at Shaiha Designs on Sunday. Beautiful set, I really love them.